James C. “JC” “Jim” Degenhardt, 79, of Smithfield, Ohio, passed away Monday September 3, 2018 at Wheeling Park Hospital in Wheeling, WV. He was born March 27, 1939 in Steubenville, OH, the son of the late James and Elnora E. (Miller) Degenhardt. In addition to his parents, he was preceded in death by his first wife, Joan Degenhardt. Jim worked at Walters Heating; Millick Heating and Cooling; he was a Boiler Maker at Babcoc and Wilcox; and retired from Wheeling Pittsburgh Steel Corp. He proudly served his country in the U.S. Marine Corps and was a member of the Adena American Legion Post #525. He was a former Councilman and Mayor for the Village of Brilliant; as well as a member of the Brilliant Presbyterian Church. JC was a very active member and former Chief at the Brilliant Fire Department. He was a great mechanic with both cars and fire trucks. 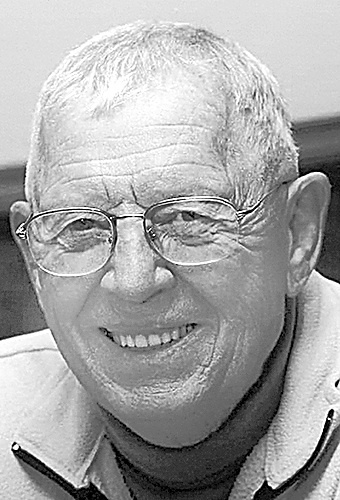 Jim was well respected throughout the valley as a fire school instructor; and he was also a sales representative for Finley Fire Equipment and Pierce Fire Trucks. Surviving are his wife, Joyce (Clark) Degenhardt, whom he married August 14, 1993; two sons, Gordon (Alyson) Degenhardt of Weirton, WV and Stephen (Kristin) Degenhardt of Vail, CO; two brothers, Mark (Connie) Degenhardt of Lake Charles, LA and Dale (Nancy) Degenhardt of Watkinsville, GA; one granddaughter, Alayna Degenhardt; two aunts, Mary Jane Degenhardt of Rayland, OH and Betty Jean Degenhardt, Jackson, MI; three step-children, Edziu (Susan) Sobolewski of Smithfield, OH, Sonya (Roger) Yanssens of New Alexandria, OH and Trent (Sue) Sobolewski of Lufkin, TX; six step-grandchildren, Andrea (Nick) Renforth, Allison, Abigail and Adrienne Yanssens, Macey and Kylee Sobolewski; two step-great-grandchildren, Sammy and Natalie Renforth; many nieces and nephews; his most loved and faithful dogs, Doc and RC; and his mealtime cat, Annie. Friends will be received on Thursday from 5-8 p.m. at the Wheeler Funeral Home, 712 Third St., Brilliant. On Friday friends will be received at the Brilliant Fire Department, 1001 Third St., Brilliant from 10 a.m. until the time of his funeral service at 11 a.m. with Pastor Jim Monogioudis, officiating. Interment will follow at New Alexandria Cemetery, with military honors by the Adena American Legion. There will be a Fireman’s prayer service at 7 p.m. on Thursday. Memorial contributions may be directed in JC’s memory to the Brilliant Fire Department, 1001 Third St., Brilliant, OH 43913. Offer condolences at www.wheelerfuneral homes.com.